A film says more than thousand words. You plan your event to become a memorable occasion, we make it come true. We create a film collage of the most beautiful moments for you and produce your individual event film. 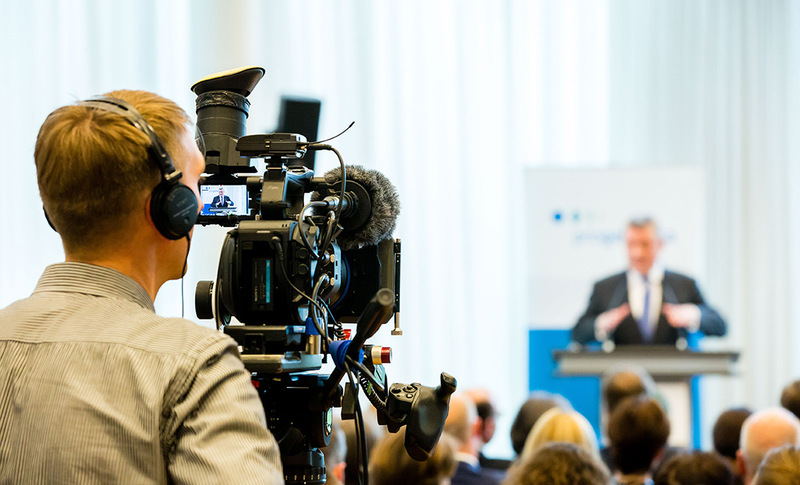 Live event filming extends the shelf life of your special event and you could carry on feeling the worth of it for months. You plan and organize an event for months, you invite guests, customers, artists, celebrities, you write invitations, rent an impressive location, book the best catering service in the city and then: After only one evening, it's all over. To make sure that this does not happen, Basiliscus Film produces an event film for you and your clientele. We accompany you through the entire evening or just as long as your event lasts. We film the highlights of your event, capturing natural and authentic moments, making interviews with your guests and at the end create a video that will make your event unforgettable. We are discreet but effective and catch unforgettable moments of your event. Our mission: to produce extraordinary, individual films for extraordinary, individual clients. With our team of talented filmmakers we focus on your needs. Contact us. We will gladly advise you. You decide which event you would like to remember and keep looking at. Our event films make the audiences dream of they attended.